What Does Code P0051 Mean? 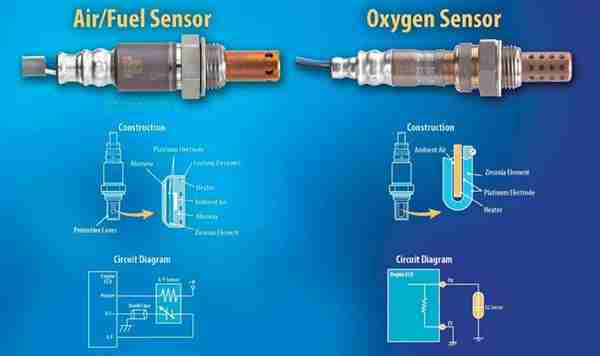 OBD II fault code P0051 is defined as “HO2S (Heated Oxygen Sensor) Heater Control Circuit Low (Bank 2 Sensor 1)”, with “Bank 2” referring to the bank of cylinders opposite to the cylinder #1 on engines with two cylinder heads, and “Sensor 1” referring to the oxygen sensor located before the catalytic converter(s), i.e., upstream of the converter(s). OBD II code P0051 is most commonly set when the PCM (Powertrain Control Module) detects a signal voltage or a resistance level from the oxygen sensor control circuit that does not fall within predefined parameters. On most applications, the sensor heater circuit voltage should closely match the battery voltage, and a deviation from battery voltage of around 10% will lead to the PCM generating and storing a fault code, and illuminating the CHECK ENGINE light. What are the common causes of code P0051 ? What are the symptoms of code P0051 ? How do you troubleshoot code P0051 ? NOTE #2: Diagnosing code P0051 requires that the engine be in good running order, with no unmetered air entering the engine. If other codes relating lean running, or misfiring conditions are present long with code P0051, repair these issues first before attempting an electrical diagnosis of this code. Since burnt wiring is a common cause of code P0051, thoroughly inspect all associated wiring and connectors for signs of damage, short circuiting, or corrosion. Pay particular attention to the routing of wiring, since unsecured wiring can burn against hot exhaust components. Repair all wiring issues as required. 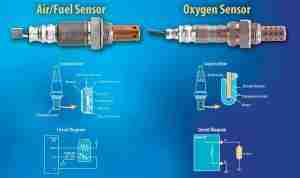 If obtained readings do not fall within this broad range, or if there are long periods (typically 8 seconds and more) during which the readings remain constant, remove the oxygen sensor(s) and inspect it/them for signs of discoloration, or the presence of undesirable deposits. Both conditions can cause code P0051, meaning that the cause/origin of the discoloration or deposits must be found and corrected.